There I was sitting back and relaxing on my Air Niugini flight from Port Moresby back to Australia enjoying the kind of inflight service even other airlines talk about (sorry that’s Singapore Airlines), when one of the flight attendants paused in his meandering. He looked down, noticed my stylish Kokoda shirt and asked if I had indeed walked the famous Track. Smiling shyly I acknowledged that I had. He beamed and said that his home village of Alola was one of the ones on the Track. Then he leaned closer and whispered conspiratorially that he was unable to return to Alola because his fellow villagers were jealous of his success and would kill him if he so much as set foot in the place. But they would not do it by machete, popular though they were. They would do it by magic! Concerned, I asked about the welfare of his family. He smiled and told me not to worry as they were protected by magical guardians. Leaning still closer he then told me that, if things got really bad, he would turn invisible and kill his family’s enemies. Apparently this was something he had done in the past and could do again if the occasion demanded. He then proceeded to tell me of one of his relatives who broke a leg. It was too far to get them to the city and too expensive to have the leg fixed, so the village shaman took care of it. Another villager was cursed by a rival shaman. This curse fractured their spine in two places. They were given four days to live. Fortunately the local shaman came to the rescue with a counter spell that restored their spine and all but brought them back from the dead. 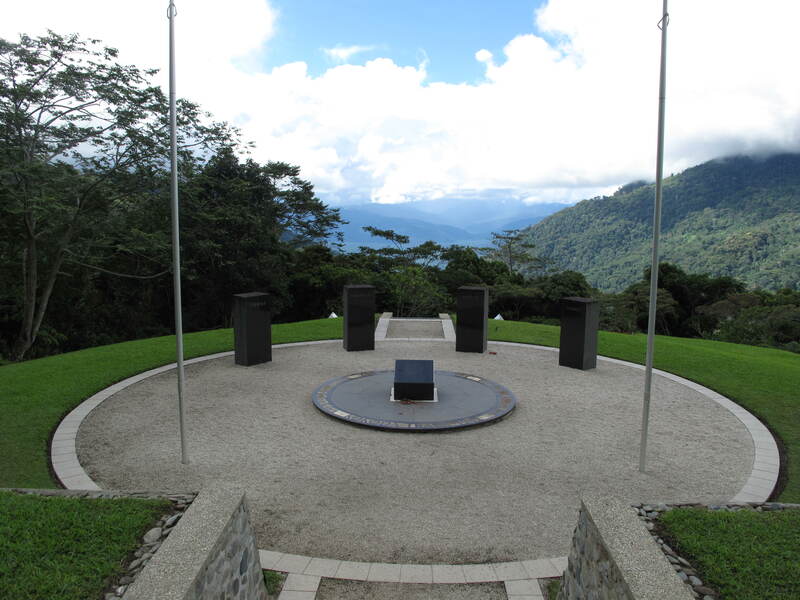 There are several disturbing plaques on the Kokoda Track dedicated to people who have died trying to walk it. All are dated between 2006 and 2009. I was told that these deaths were not the result of heart attacks or dehydration, as was the official claim. That was just a cover up. They were all killed by magic. While walking the Track it is important never to be the last in the group. Always make sure there is at least one indigenous person behind you or you could also be magically murdered. I told him I was always up near the front of the group, which seemed to reassure him. At this point one of the other flight attendants dropped by and suggested, in no uncertain terms, that he get back to work. I did see him again as we filed out of the plane. He smiled and assured me that I would be safe. I felt relieved but was that because he appeared to have cast a good spell on me or because the plane was back on the ground? As a footnote, when we approached Port Moresby a week earlier a definite smell of burning electrical circuitry could be detected wafting through the cabin. The pilot then proceeded to not so much land the plane as drop it like a rock onto the runway. That was when I could really have used a benevolent spell. After our walk on the Kokoda Track we were shown an ABC video depicting one of the trek leaders escorting a group of troubled youths for a stroll down the Track. Troubled youths seem to be regularly dragged along on these sorts of intense experiences in the belief that enormous physical effort, coupled with copious volumes of sweat, will somehow lead to an epiphany that will change their lives forever. They were exhorted by the trek leader to take whatever negative event had lead them from the straight and narrow and leave it on the track, starting afresh upon their return to the land of electricity and hot water. While this does seem to have some potential merit with people occasionally claiming that the effort had indeed transformed them, I can’t say it had any kind of similar effect on my son or me. Although the exertion was extreme and the result extremely satisfying I failed to leave any of my issues on the track. It struck me that, while we were all walking along in total silence, the exertion being too great to permit free speech, I should have been doing something more useful with my thinking time like composing a great novel, devising a solution to a complex problem, working through a personal issue or exorcising some demons that were causing me grief. Instead the internal jukebox fired up and I spent most of the walk with a loop of random songs coursing through my brain; the most oft repeated ones being “Sacrifice” by Motörhead, “Minority” by Green Day and “I Was Only 19” by Redgum. The rest of the time my mind appeared to be wool gathering, arbitrary thoughts flying through my brain, some getting caught in the perpetual loop, others only momentarily passing through. Any time I tried to embark on a complicated and extended train of thought we began a sharp and hazardous descent and, after almost tripping over a tree root or nearly falling face first into the mud, I was forced to bring my thoughts back and actually concentrate on walking the Track. So, no great revelations. It was just the joy of labour and the chance to get away from civilization’s little annoyances for a week. I can’t say I missed our modern world. After a week of living by head torch and candlelight the thing that struck me the most was how incredibly bright our electrical life is. I felt like the mobile phone screen was burning my retinas when I first turned it on. There was, however, one thing I did leave on the track, and that was any life changing resolutions I might have come up with. While I did not miss the various things that were unavailable to me while they were unavailable, now that they are once again available I don’t have the strength to resist the booze, leave the TV turned off, ignore my emails or keep getting up at 5.30 and going to bed at 8.00. I have just returned to become the same person I was before I left, which isn’t really such a bad thing, is it? The DPIPWE Animal Health Laboratories at Mt Pleasant have identified salmonella bacteria in a number of sparrows from the Launceston area. It is not uncommon to detect salmonella in wildlife, especially during the winter months when birds can be under stress and they congregate around common feeding and watering areas which can increase the transmission rate. The member of the public who reported the dead sparrows is to be congratulated for alerting us to these suspicious deaths. It’s an important part of our biosecurity system that people report suspicious signs, including unexplained deaths, in wildlife or livestock – and do so promptly so we and the broader community can respond if it were an emergency animal disease. In this case, we have been able to rule out it being an exotic disease. So there is no need for a response, as such. But it is timely to remind people about the basic biosecurity measures that they should take to help minimise the risk of transmission of this disease. We advise people not to provide feed and watering points for wild birds and to clean watering points that may have been used up to this point. If dead birds are found around the yard, they should be promptly disposed of to ensure pets or other animals don’t come into contact with them. People should also ensure they don’t expose themselves to the potential risk of infection as well by using disposable gloves if removing dead birds and when cleaning bird baths. You should also ensure your hands are washed thoroughly after contact. People with captive bird populations should use methods to reduce contact between captive and wild bird populations and prevent other pets from wandering. We have a biosecurity checklist for bird keepers​ on our website. Our Department is liaising with the Department of Health and Human Services about this matter. The all hours number for reporting any suspicion of an emergency animal (including fish and bird) disease is 1800 675 888. Having lost the battle of the Coral Sea in 1942 the Japanese attempted to capture New Guinea’s capital, Port Moresby, by landing on the north coast at Gona and then marching over the Owen Stanley Ranges along a steep, narrow and muddy mail route through the jungle: the Kokoda Track. However, the Australian army, fearing what would happen should Port Moresby fall to the Japanese, wandered up the track from the south to discuss this with them. Despite being heavily outnumbered the Australians were able to slow the Japanese advance for long enough to force them to reconsider the wisdom of dragging men and heavy artillery through the New Guinea mud. They ended up fleeing the island altogether, with the Australians in hot pursuit. 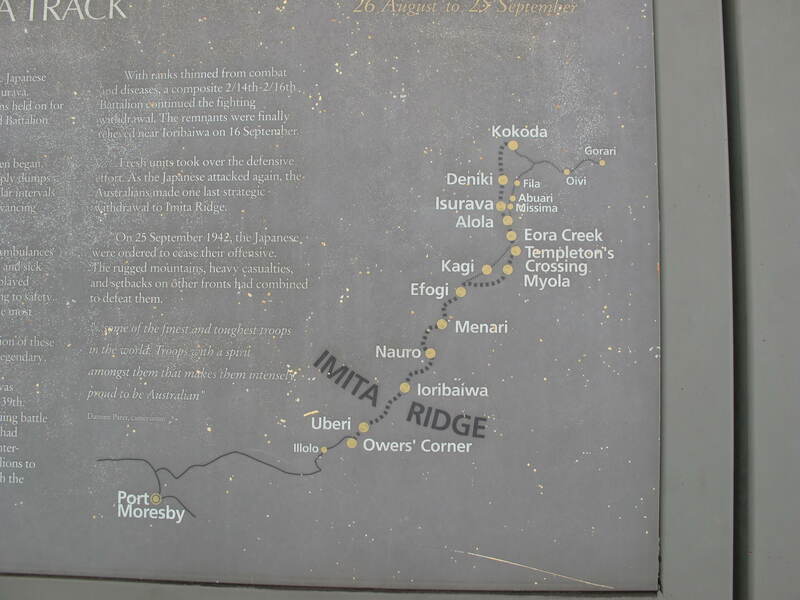 These days it is possible to follow in the footsteps of these soldiers and walk the Kokoda Track from its origin at the village of the same name to its finish, some 96 km away at Ower’s Corner. This trip took my son and I (along with four more Australians and a host of indigenous carriers who lead the way, cooked for us and carried our tents) eight days to complete and was certainly the most physically challenging thing I have ever done. Being New Guinea the weather was tropical: warm and humid, but we were fortunate that rain fell only at night. The vegetation was incredibly lush and looked like it would have been at home in the Cretaceous Period. I would have been only mildly surprised if a velociraptor had bounded past. 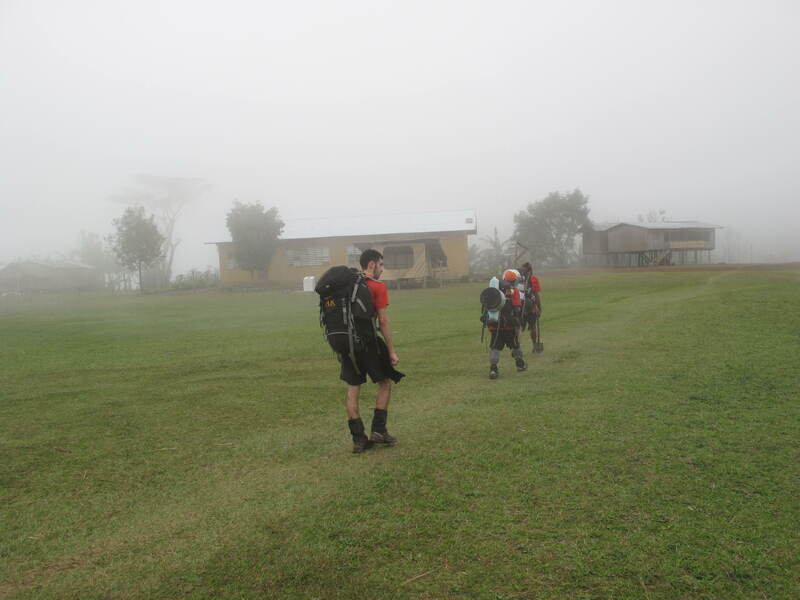 We were woken each morning at 5.30 and started trekking around 7.00. Distances covered ranged from 7 to 18 km per day, depending on the ruggedness of the terrain and the enthusiasm of the trekkers. We were all tucked up tightly in our sleeping bags, exhausted but content by 8.00 each night. The track itself consisted of incredibly steep hill climbs and descents over mud soaked ground covered in tangles of tree roots and rocks. I actually preferred the ascents as they were extremely taxing from a cardiovascular perspective, but not nearly as treacherous as the descents. The large amounts of mud made the slopes extremely slippery with one misstep potentially catapulting the victim off the edge of the track or, as one of our party discovered, causing them to roll an ankle. The indigenous carriers were truly astonishing the way they cavorted up and down the slopes, 15+ kg packs on their backs, work boots or running shoes on their feet (except for one fellow who covered the entire 96 km barefoot!). 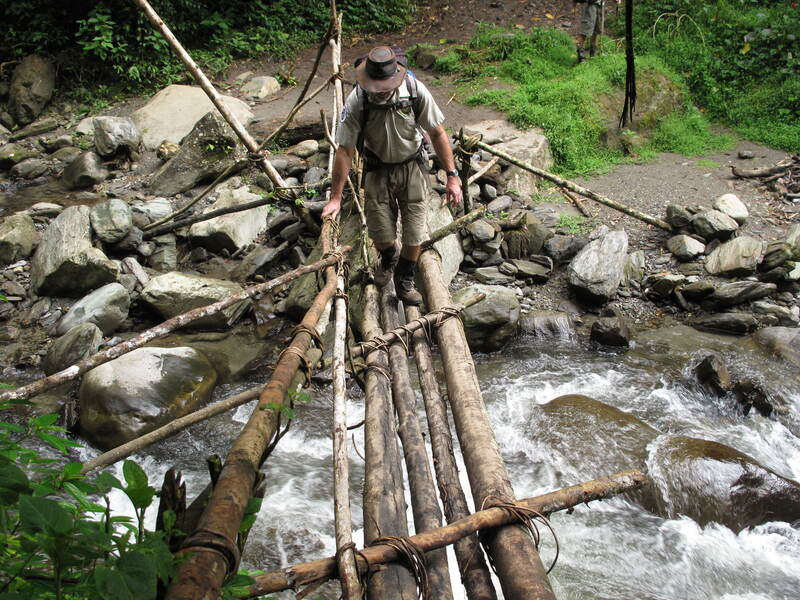 Streams were forded via some rather rudimentary and highly dubious bridges. The low hanging cloud formed a truly eerie backdrop to some of our walks through the villages en route. Day 2 found us at the Isurava war memorial, a site almost as iconic to Australians as Gallipoli. The four pillars are carved with the words “Courage”, “Endurance”, “Mateship”, “Sacrifice” and were a moving testament to the men who fought and died here, set against an astonishingly beautiful mountain backdrop. 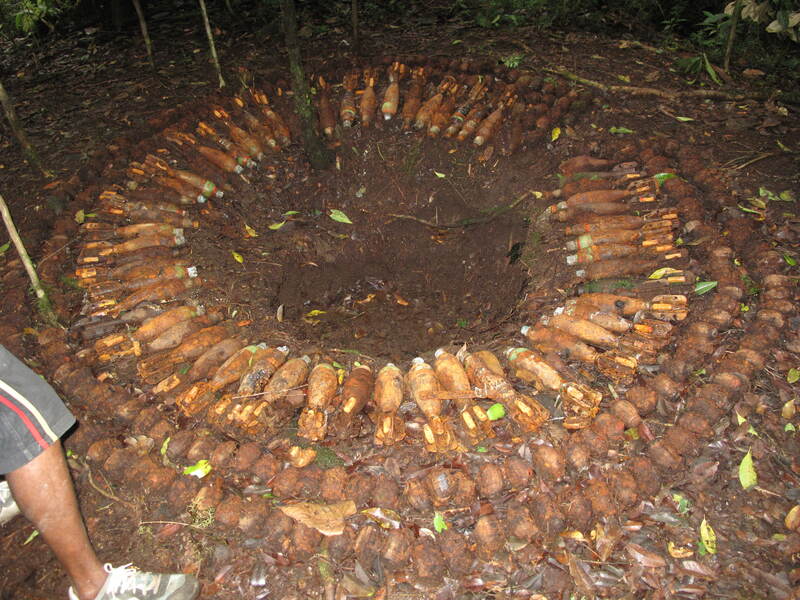 Amazingly the jungle is still full of unexploded mortars and hand grenades, this cache being unearthed in February by a group of locals looking for brush turkey eggs. It was a magnificent and emotional experience. After all nothing worthwhile is ever achieved without effort. Still, tough as it was for us, it was hard to imagine what it must have been like to live for weeks in this environment suffering malnutrition, disease and the constant threat of being shot at or having a mortar land in your lunch. Much as I detest war the courage of the men involved is truly inspirational. There are a bewildering number of companies offering to help you drag your carcase over the Kokoda Track. 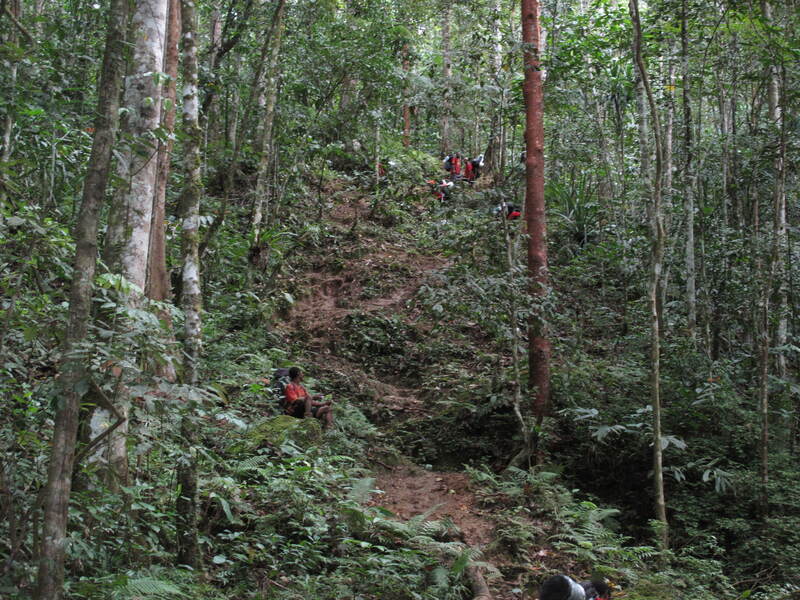 We selected Adventure Kokoda (http://www.kokodatreks.com/). While their off track organisation left a bit to be desired they looked after us extremely well on the track, although my son did complain of being perpetually hungry. However, it is quite difficult to fill the bottomless stomach of an active 19 year old at the best of times and even I managed to drop 2.5 kg.